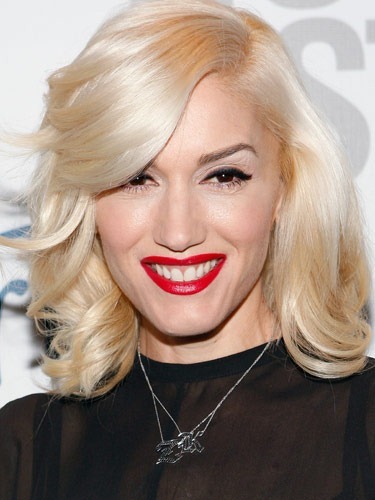 Kazumi Morton is the Isaac Newton of Hollywood hair color. The renowned “hair chemist” has transformed the locks of some of the biggest stars in Tinseltown, from Kristen Stewart and Robert Pattinson, to Christina Applegate and Shannon Dougherty. 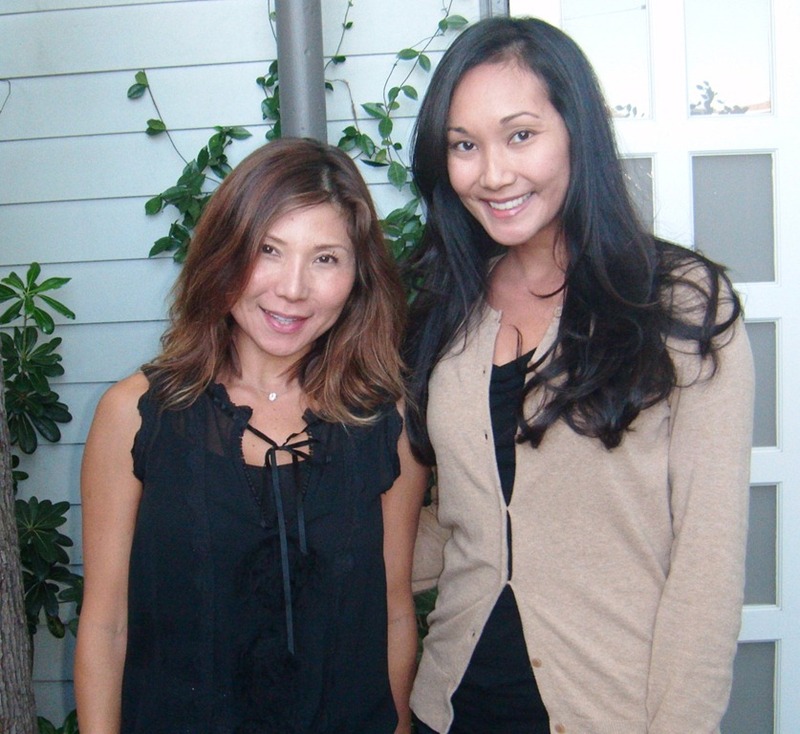 Kazumi has perfected the fine art of hair color, specifically natural, sun kissed highlights. Her philosophy is pure and simple – less is more. With over 16 years of experience in the industry, Kazumi is like an encyclopedia of hair color knowledge. From pH levels and the damaging effects of bleaching to the intricate details of the color wheel, Kazumi has been educating her clients, colleagues and students across the globe since 1998. She immediately says that she will not be bleaching my hair and that this is not a good option, especially for my naturally dark, ethnic hair. Rather, her plan is to give me highlights with just Hair Color, a gentler, more controlled approach. No bleach? No lifting of my base hair color before applying the highlights? I’m intrigued and curious – why has no other colorist ever recommended this technique to me before? While it may not be a new discovery, applying highlights with Hair Color is a more refined method, one that is safer and less stressful on your hair. 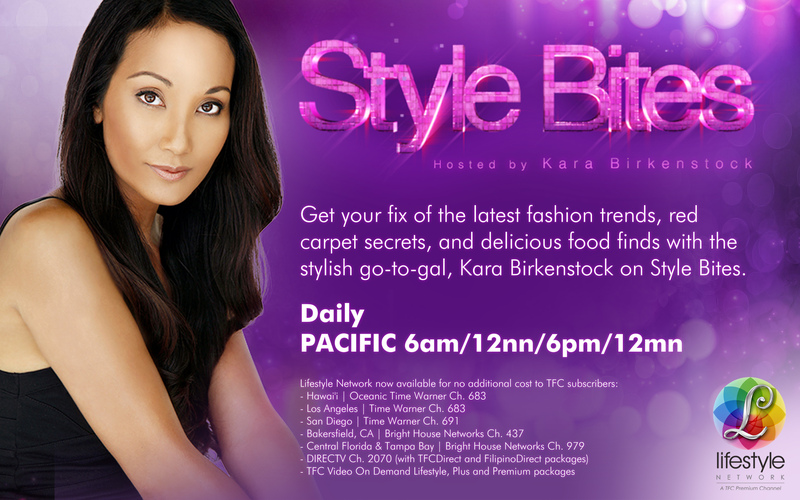 And the perfect option for those who are new to the world of hair color. After a couple hours in Kazumi’s chair, it was finally time to remove the foils and reveal my new highlights. When my blowout is complete, I turn around to see soft, warm, glowing hints of caramel within my dark brown tresses. I sense that Kazumi is disappointed that the color is not as pronounced as she would have liked. “It seems your hair is a bit resistant to color,” she says to me with a laugh. Perhaps after years of Sun-In, boxed hair dye, and botched color treatments, my hair has learned to be cautious. Or maybe, Kazumi’s method was the answer to my hair color prayers. Although she invites me back to the salon to add more color in the coming weeks, I decide to enjoy my understated highlights as they are. With time, the highlights have naturally lightened up, as if I had spent the winter months on a tropical island. They are delicate, radiant, and simply beautiful. When I first learned of my appointment with celebrity hair stylist, Kristoff Ball, I have to admit I was pretty nervous. 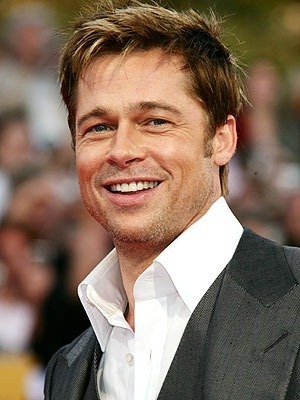 The same hands that have cut and styled Brad Pitt and Gwen Stefani’s hair were going to work their magic on my hair! What would he be like? 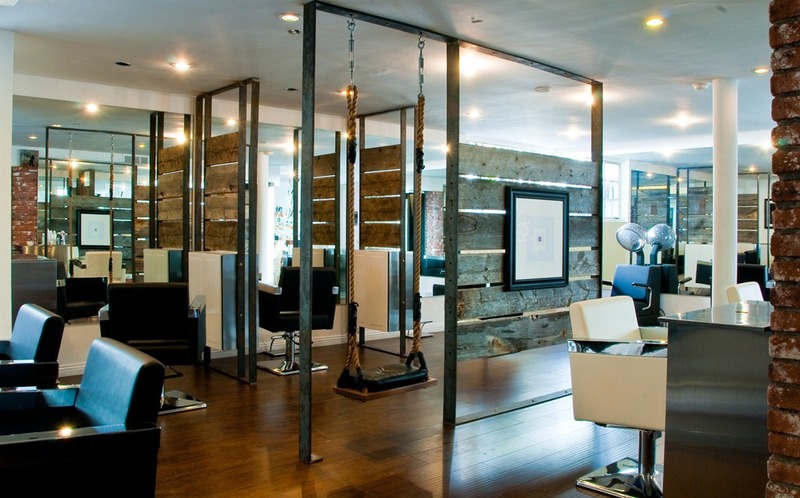 Will his posh Beverly Hills salon be intimidating? What will he think of my hair and will he want to chop it off like all the other stylists I’ve visited in the last year? I’ve had a huge fear of making drastic changes to my hair for as long as I can remember. My hair has been long and natural my entire life. I’ve always been envious of those that can reinvent themselves by changing their hairstyle or color. People often say to me, “It’s just hair Kara, it’ll grow back,” or “Kara, you’re too attached to your hair.” Well yes, I am attached to my hair as a matter of fact. It is stuck to my head and I’m the one that has to look at it and deal with it every day! Not only has Kristoff Ball worked on the hair of some of the biggest names in Hollywood, but he has an incredible background. With a humble upbringing in Long Beach, California, Kristoff taught himself how to cut hair at the age of twelve after receiving “one too many bad haircuts” from his father. Soon enough, he became known as the “Long Beach Hair Guy,” styling hair by day and immersing himself in to the world of Rock and Roll by night. His life-changing gig came when he had the opportunity to open for No Doubt and Sublime, thus beginning the lifelong friendship he has with Gwen Stefani. While other stylists have tried to take credit for her famous platinum blonde locks, it was in fact Kristoff who was responsible for this beauty phenomenon. And he has the photographic evidence in his Beverly Hills salon to prove it. 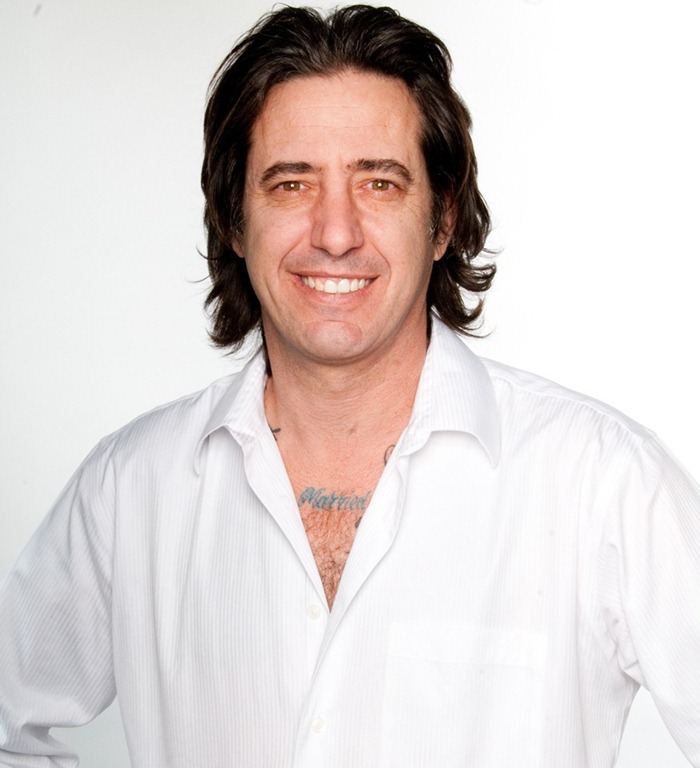 Since relocating to Los Angeles, Kristoff has worked at many renowned high-end salons, including Privé, Fred Segal Beauty and Chris McMillan. I was drawn to the fact that he loves long, “beachy” hair and is known to be the stylist that won’t chop off a client’s hair. He likes to keep things simple and prefers to preserve length, especially when hair is healthy. It seemed like kismet – perhaps Kristoff Ball would be the perfect person to transform my hair. Pulling up to the Kristoff Ball Salon, I knew I was in for something special. Parking was a breeze in a small private lot. As soon as I walked in I spotted a man with a tight fitting black t-shirt and short brown hair. This was not the image of Kristoff that I had seen online or in the glossy magazines. Before I could open my mouth to say hello, Kristoff Ball extended his hand with a friendly smile. 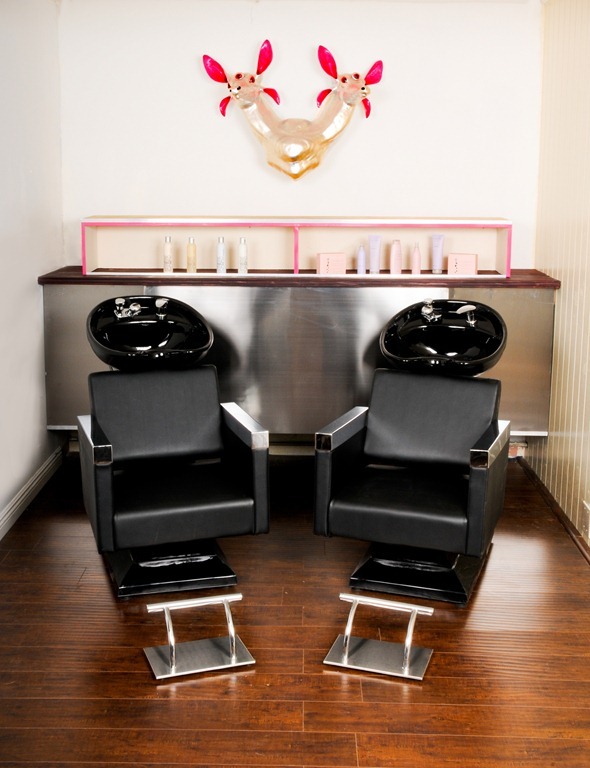 The salon interior is both bold and inviting, a representation of Kristoff’s eclectic personality. 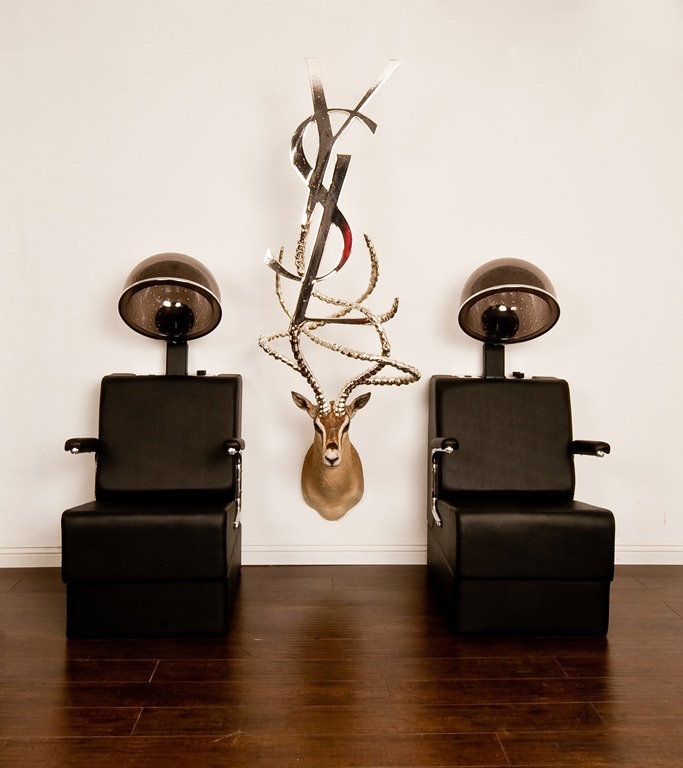 The space has a glam, punk-rock vibe complete with sleek chairs, oversized mirrors, leather rope swings (just for fun) and two strategically placed deer heads, one with the Yves Saint Laurent logo as antlers. An avid art enthusiast, Kristoff also displays a print by the notorious Banksy, which is uniquely signed by Paris Hilton. After chatting about his new shorter locks, we headed to his station to discuss the dreaded question, “What are we doing with your hair today?” A few minutes in his white leather chair and Kristoff says, “Your hair is beautiful, why do want to change it?” He continued, “The key to great hair is to keep it simple. You have a great head of hair, all you need are a few tweaks to make it perfect.” And with those words, I was whisked away to the shampoo station by Kristoff’s son, Noriel. Small talk led me to learn that the Kristoff Ball Salon is truly a family business. Kristoff built this business from the ground up, his wife Cassandra manages the salon and Noriel, who recently graduated from the Academy of Beauty in Culver City, is now his father’s apprentice. We chit chat about the U.S. presidential election and how this was his first time executing his right to vote. While laughing about Roseanne Barr as a candidate, I’m finally relaxed as I receive one of the best scalp massages I’ve experienced. Back in Kristoff’s chair, I instantly feel like one of the family. He shares stories about his childhood in Long Beach, we connect over my Thai/Filipina background, and he casually talks about his besties and longtime clients, Gwen and Paris. As in Stefani and Hilton. While it may seem like the typical Hollywood namedropping, it’s actually bittersweet as he affectionately talks about his loyal friends with love and respect. He describes what it’s been like growing up in this business, the hustle and flow of the beauty industry. Despite having worked with some of the biggest names in the business, owning two posh salons in Tinseltown, and being offered multiple reality TV shows, Kristoff is somehow grounded. I tell him this and he replies with a chuckle. But really, Kristoff is the most down to earth Hollywood hair stylist I’ve ever met, and I’ve met my fair share over the years. His philosophy is simple –he does hair to help women feel pretty. He’s not in it for the fame or the endorsement deals, but purely to see the joy on a woman’s face when she’s thrilled with her cut or color. A few snips here, a couple layers there and before I know it there are three and a half inches of my hair on the salon floor. I gaze in wonderment as Noriel sweeps my hair away with a blow-dryer, and I realize that I’ve been lost in a really great conversation. Somewhere between the acupressure like massage and the hilarious stories of hanging out with Snoop Dogg in the LBC, I suddenly have a new do. A cup of tea and an amazing blowout later, I stood up to reveal my new look. Kristoff took my hair from long and lifeless to layered and luxuriant. I arrived wishing I had somebody else’s hair, but left finally loving my own.